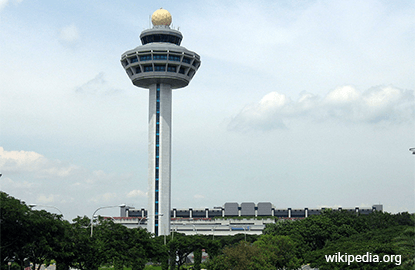 SINGAPORE (Oct 24): Singapore Changi Airport’s operating indicators are all flashing higher for the month of Sept. Passenger movements handled by the airport rose 3.7% to 4.58 million, aircraft movements rose 3% to 29,330 landings and takeoffs while cargo shipments rose 7.8% to 167,100 tonnes from a year ago. Year to date, 43.5 million passengers have travelled through Changi, up 6.2% while aircraft movements also increased 4.2% to 268,190 on year. Changi continues to report growth for its top 10 country markets, with China (15.3%), Malaysia (8.9%) and Indonesia (6.4%) taking the top three spots. Jakarta remains the busiest route for Sept, followed by Bangkok and Kuala Lumpur. Cargo shipments also saw the fastest pace of growth in the last five years, up 5.5% to 1.44 million tonnes year to date. On Sept 26, Changi was the overall winner of this year’s World Routes Marketing Awards on Sept 26 and also topped the ‘over 50 million passengers’ category. The airport has also won Payload Asia’s ‘Asia Pacific Airport of the Year – Customer Choice’ for the third year running on 29 Sept.
As of Oct 1, over 100 airlines operate at Changi. With over 6,800 scheduled weekly flights; an aircraft takes off or lands every 90 seconds.